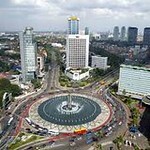 Against the backdrop of a growing economy in Indonesia, Plastics & Rubber Indonesia and ProPak Indonesia will be staged from 10-13 October 2012 at the Jakarta International Expo Centre, Kemayoran, Jakarta. With five halls covering over 14,500 sq m of exhibition space, the organiser PT Pamerindo Indonesia says it will be the largest ever staged event of its series. With over 600 participating companies from 37 countries expected, the show will host group pavilions from Austria, China, Germany, Italy, Korea, Netherlands , Singapore and Taiwan. The Austrian pavilion will feature companies like Engel Austria, Erema Engineering, GMT, Grubber Group and Oskar Karla . Showcasing Italian technologies will be Amut, Bausano, IPM and Torninova at the Italian pavilion. As the largest group pavilion at the event, Taiwan will converge over 35 companies presenting a diverse range of production solutions from injection moulding to extrusion lines and more. Strong presence from China continues this year, establishing another record participation benchmark with over 40 exhibiting companies. The companies exhibiting include; ATA, Guangdong Designer, Ruian Hengfeng, Shangtou Jinxing, Shanghai Jwell, Tech Long, Tederic and Zhejiang Demark. The complementary ProPak Indonesia show will highlight solutions and technologies for food and pharmaceutical processing as well as packaging, attracting participation from companies such as Global Internusa, International Machinery, Jayatama Teknik, KHS, Meaf Machines, Trijaya Usaha Mandiri, Tech Long Packaging, Thermoware and Zi Tech Asia. Both events are open strictly to trade only and are expected to gather 15,000 trade and industry professionals over the duration of the events.